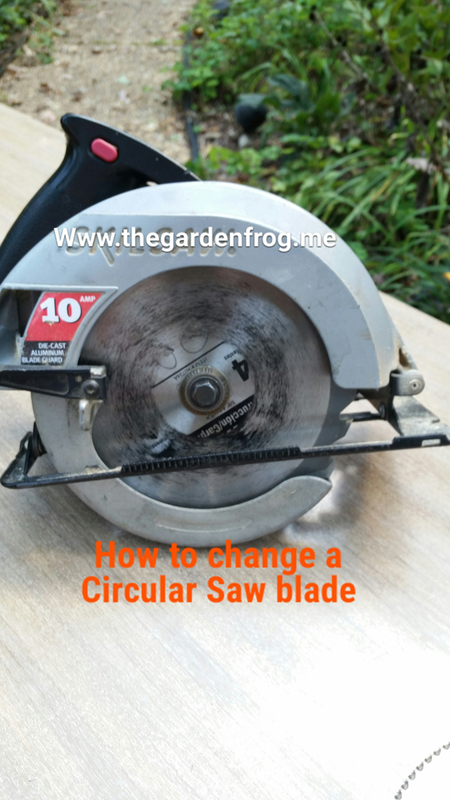 For the beginner DIYer who is too afraid of asking, here is an easy tutorial on changing a circular saw blade on a Skilsaw. I looked this up on the internet (yes I Googled it) to see how others do it. I discovered I do not do it like the “professional” men. I also have an older model that I have had for years which does not have the safety features of the more expensive and newer models. Disclaimer: I am not a professional but a DIY woman who has found that I do not always have the strength to follow the complete instructions. 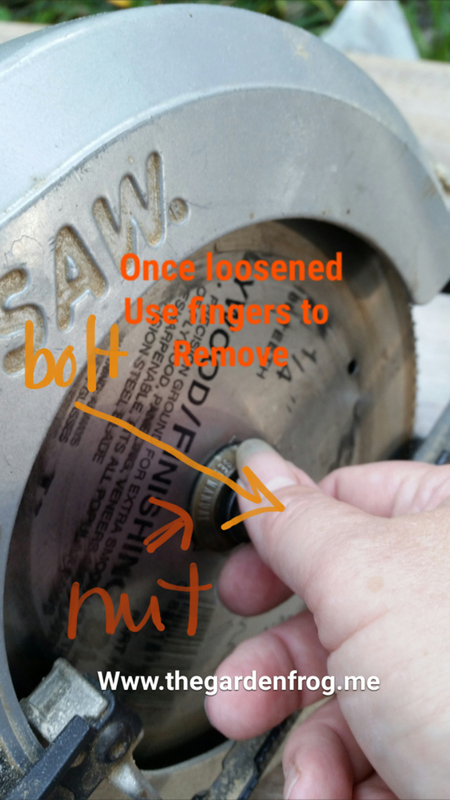 With that in mind, I am going to show you how I, as a woman, change the blade on an older circular saw without a spindle (or blade stop) button. 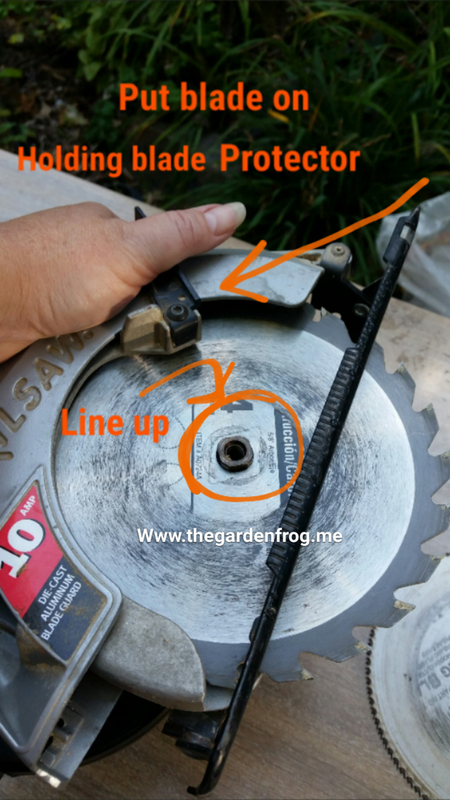 The first and most important step is to unplug (or remove the power source to) the circular saw. Do not ever attempt any tightening, loosening, or changing of any blade or component of any power tool if it is running, if the battery is in, or if it is plugged in. 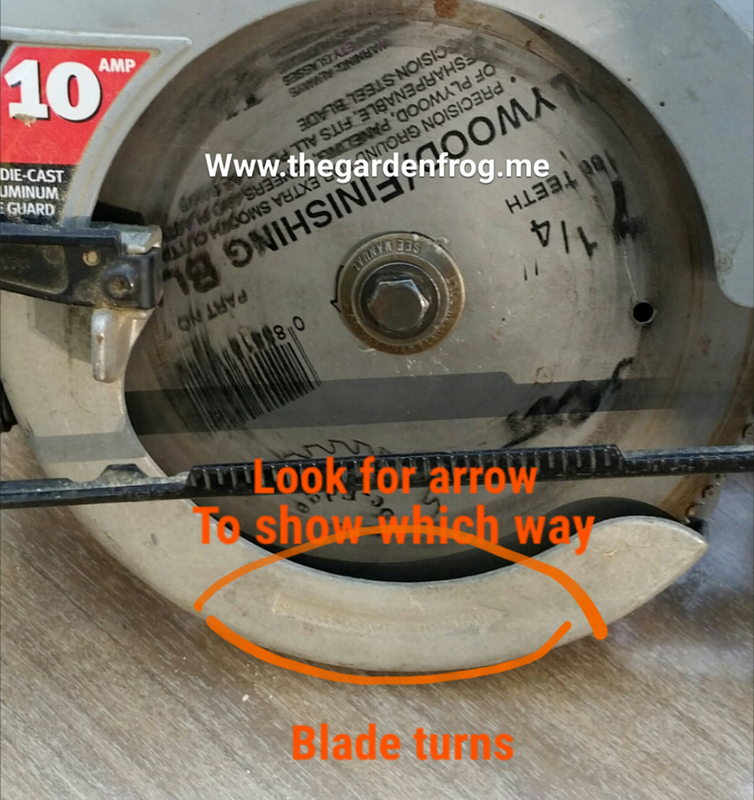 To remove and put on a blade, you will have the circular saw on its motor like this. 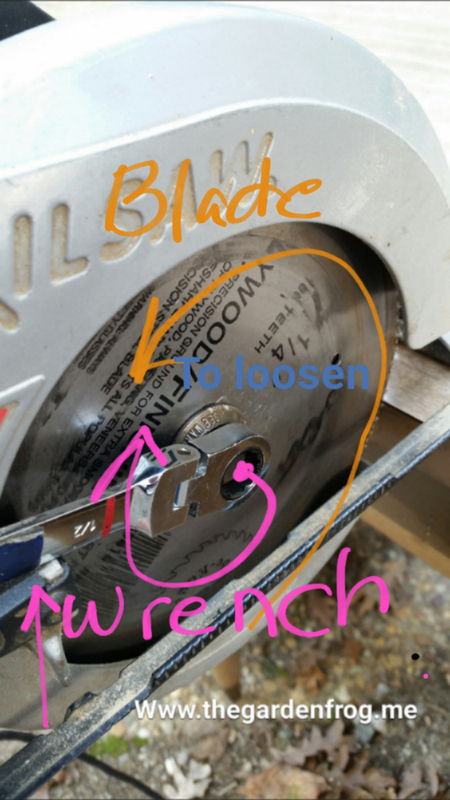 I will show you in pictures and best describe how I change the blade in my older Skilsaw/circular saw. I do not have the grip or strength to hold the blade and loosen it. Even if I had a spindle or blade stop button on my circular saw, I am not sure I could hold the button down, hold the wrench, and hold the saw at the same time. 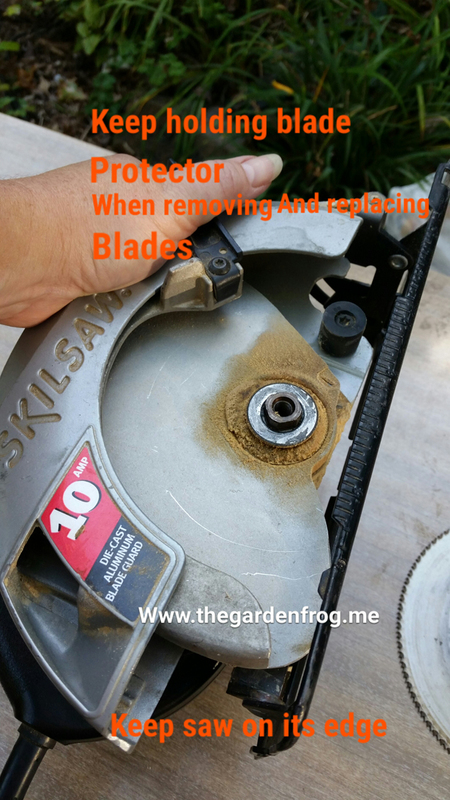 My husband helped me years ago come up with a better solution (which he uses as well) so I could change the blade without fumbling and hurting myself. Grab a 1/2″ (or correct size) wrench, a 2×4 or other piece of wood if you do not want to scratch your workbench, new blade, circular saw, and unplug or remove power source. 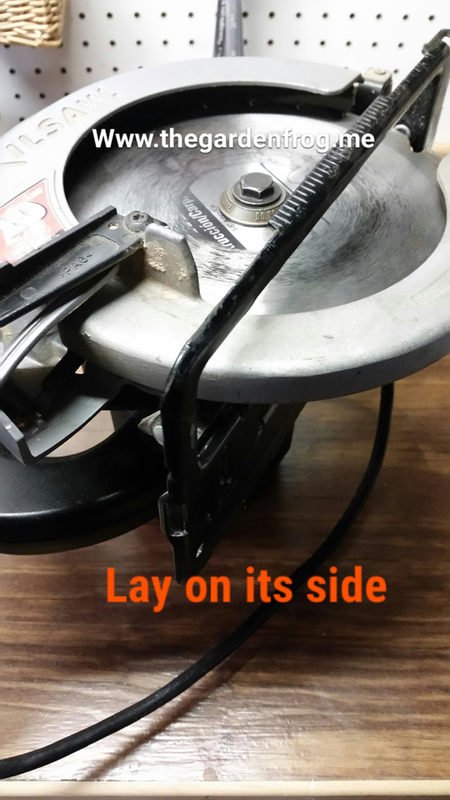 Lay the blade down the way it will turn in your circular saw so all you have to do is grab it and put it on. 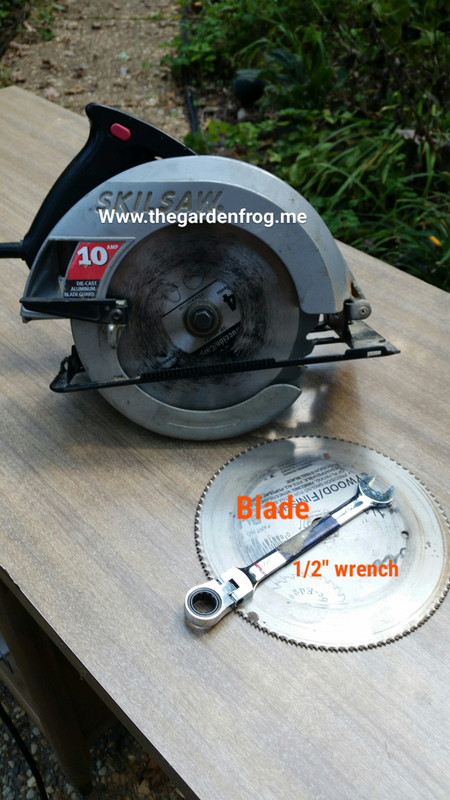 Note: not all circular saws are built the same so you may have a special tool to remove the blade. 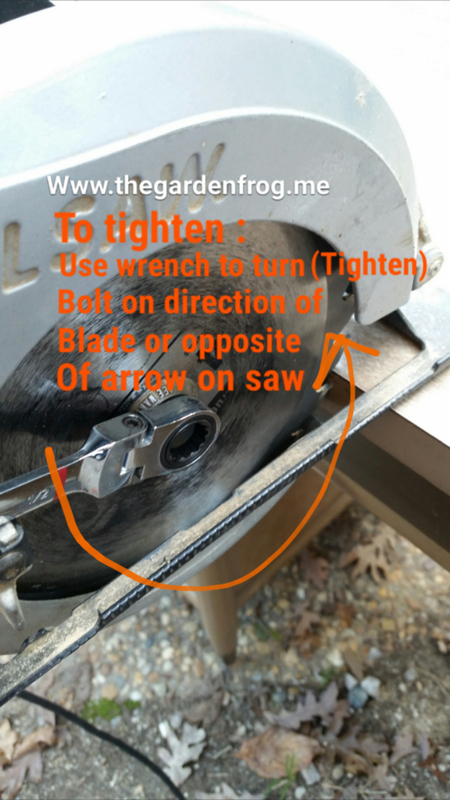 Take the circular saw and sit it on the edge of the wood or work area as if you are going to saw and push the blade into the wood to stop it. 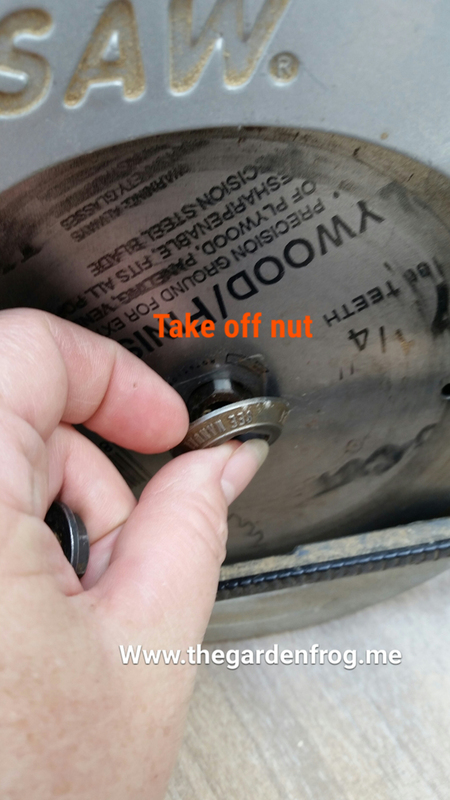 Grab your wrench and loosen the blade which in my case is counter clockwise. 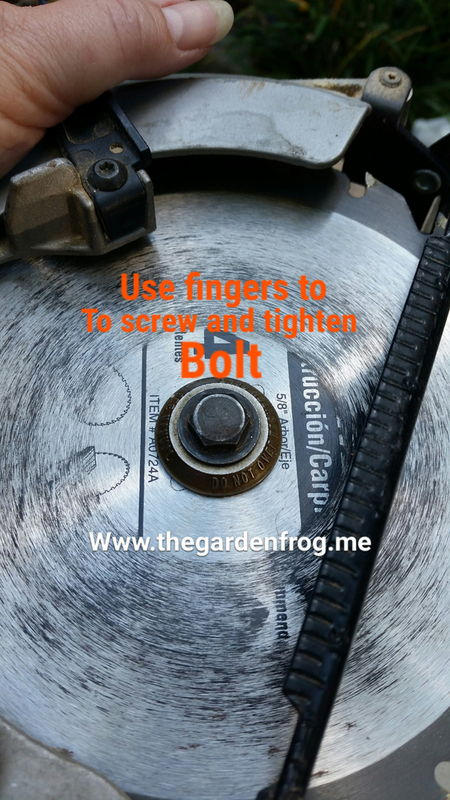 Loosen the bolt enough so you can grab it with your fingers. 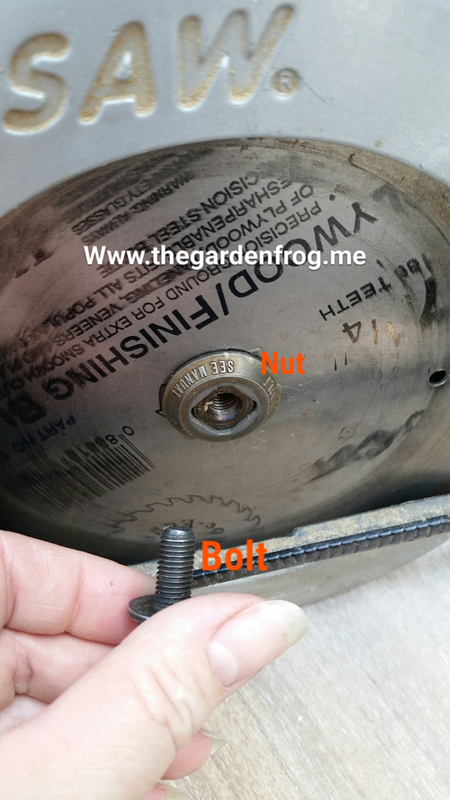 Set saw on work area and finish loosening and removing the bolt with your fingers- carefully removing the bolt and the ‘nut’ (there probably is a technical term but I do not know it). Carefully remove old blade and set it down. 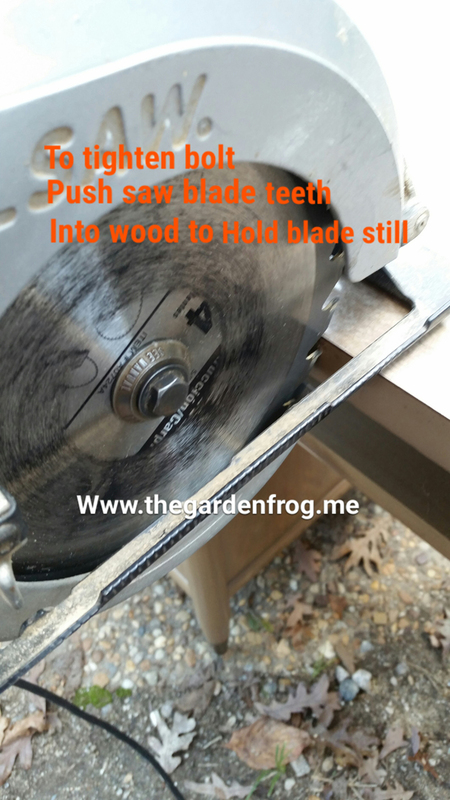 Carefully grab new blade and place it on the saw in the same fashion as you took off the old blade. 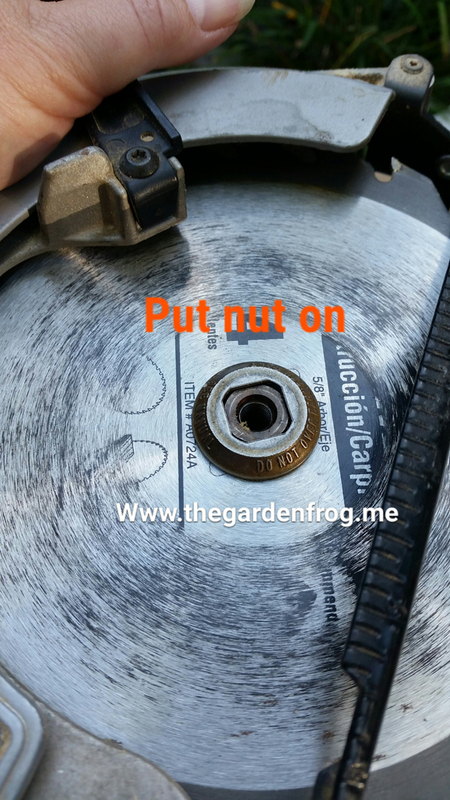 When the blade is on, take the nut and place it, and then grab the bolt and start screwing it in to place. Make it hand tight. Take the saw and set it back on the edge of the wood or workbench again (pushing the blade into the wood to secure it). Grab the wrench and tighten the opposite way you took it off. Tighten it but do not overtighten or you may need help removing it in the future. 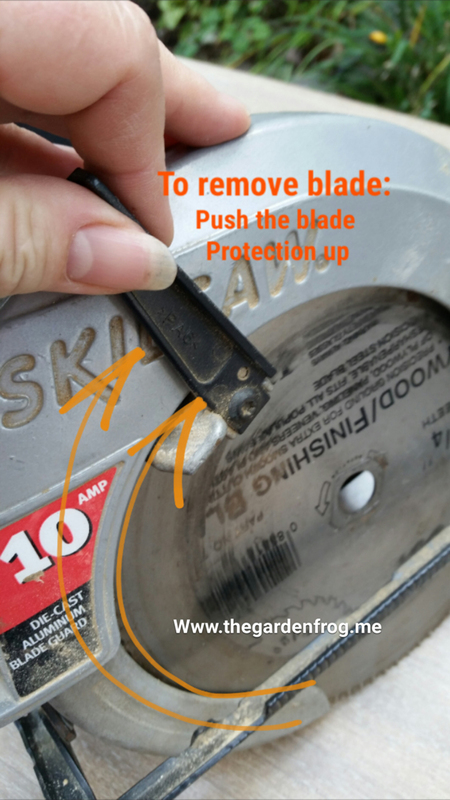 Make sure the blade is on the saw securely before plugging it in to use. 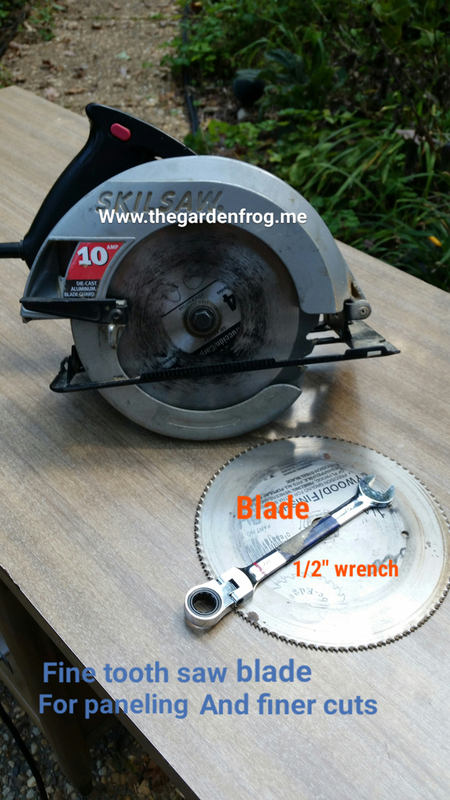 There are other ways to remove and change circular saw blades. This is one method I have found that I can do with smaller hands and a weaker grip. I hope this helps you feel confident enough to try and change your own blade.